Yeeeessss, I am so very very excited!! 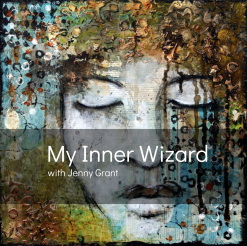 I am now opening my in-depth art journaling e-course for registration again!! 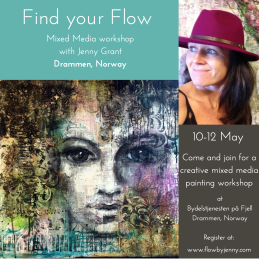 "Book of Flow is s great opportunity to work creating a journal that is not perfect and there is no pressure for it to be. Jenny is an excellent instructor, with detailed instructions to help you be successful in completing your book." 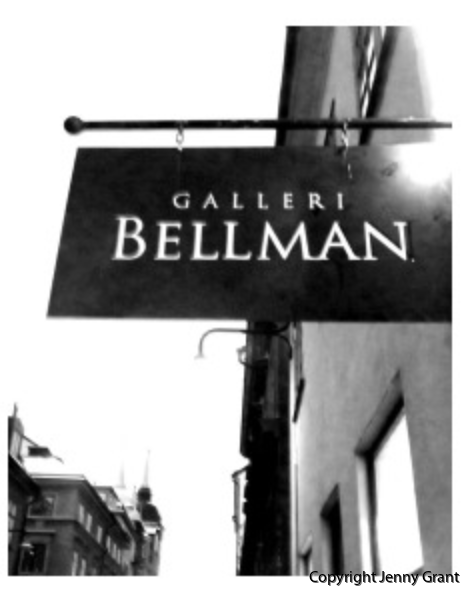 "I have never been so connected with my work. Thank you Jenny. You have taught me something and I don't even know what it is well it's connection. 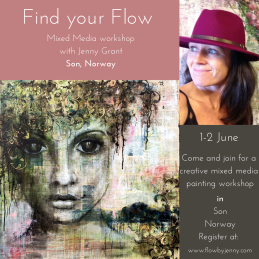 It's connection with my art place on a deeper level"
Book of Flow - the E-course. This will be such a fun journey. 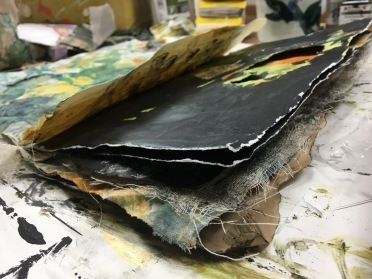 3-weeks of art journaling together in my studio, out and about and in collaborations with other artists!! This course is something very very special! I will bring you into my art journaling world and you will come along on a fun and funky journey. 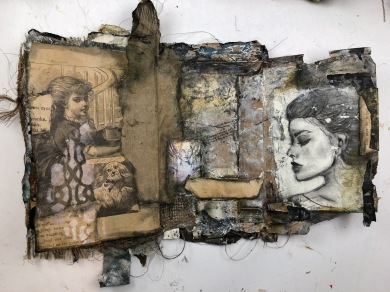 I will step-by-step show you how I create my art journal and I will show you all my favourite art supplies and tricks. We will meet in a couple of live sessions so that we can interact as we go (these will be recorded and possible to watch at any time!). I will also bring you outside my studio and show you how I use my journals on a daily basis. We will journal in different places (pre-recorded) and I will do some really cool collaborations with other artists. My goal is to inspire you and give you tools to be creative with no need of any particular outcome or result. The process and the time you spend creating is the purpose of the journey. The end result is just a bonus. The course is self-paced and you have 2 years access to the material. The launch of the course is the 1st of May. Seats are limited so please register now! You can reply to this e-mail if you want. I hope to see you in class and do some fun and funky art journaling together! 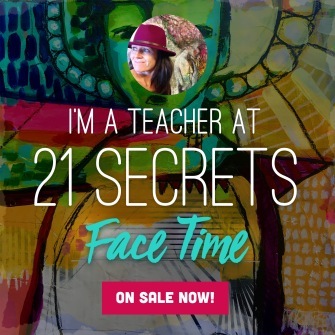 The 21 SECRET Face Time class room opens today!!! You will get the link to a FREE VIDEO of an Art Journal Page that I made some time ago. The winner will be notified the 3rd of April! UPDATE! THE GIVE AWAY IS CLOSED!! My lesson in Face Time is called The Eyes of the Soul. I will create a couple of different faces on mixed media backbrounds. I will show you some simple ways to do faces. I cannot wait to see what all the other 20 teachers have come up with. 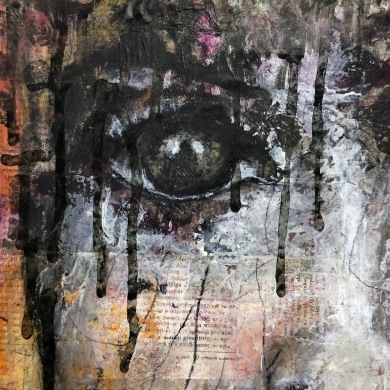 21 mixed media lessons all about Faces.